Again, we are discussing cetaphil. This time, it’s the variant for sensitive skin. Originally developed by dermatologists especially for sensitive skin, Cetaphil Gentle Skin Cleanser is a soap substitute that preserves your skin’s natural protective oils. Cetaphil Gentle Skin Cleanser softens your skin as it gently cleanses. Independent clinical tests using Cetaphil® Gentle Skin Cleanser undiluted has shown it to be one of the gentlest non-soap cleansers. Its special formulation won’t sting your eyes and can remove light make-up without clogging pores. Developed to be used with or without water, Cetaphil Gentle Skin Cleanser is pH balanced and lanolin and fragrance free. Suitable for: All skin types, infants, eczema, acne, rosacea & psoriasis. Specially formulated to provide effective, gentle skincare to help your skin look and feel its best, Cetaphil is a clinically proven therapeutic skincare range for dry, sensitive or compromised skin. Fragrance free and non-comedogenic (doesn’t block your pores), the product range includes specific cleansers and moisturisers for both face and body; Cetaphil Gentle Skin Cleanser, Cetaphil Moisturising Lotion and Cetaphil Moisturising Cream. •All skin types including sensitive skin. •The face, hands and entire body. •Daily skincare routine to relieve the dryness caused by prescription skincare products. Apply to the skin and massage gently with water: rinse and pat dry with a soft towel without water: remove excess with paper tissue or cotton wool. I started using this about a month back. It is good. Removes light makeup as claimed. It doesn’t lather and cleanses the skin well. My skin feels clean and soft. But, I recently reviewed Cetaphil Oily Skin Cleanser here and I found this one better for my skin type. 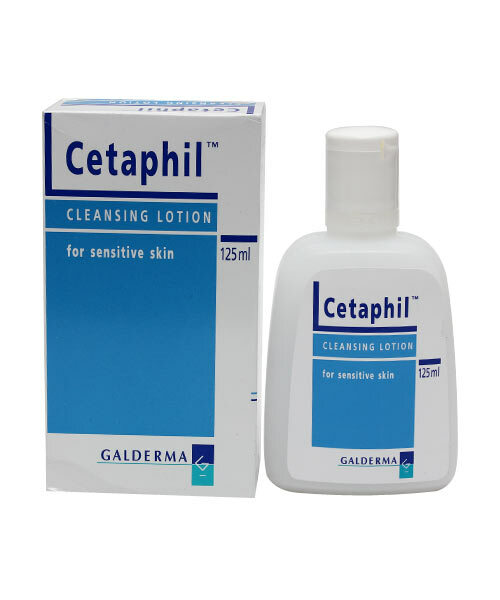 Cetaphil for sensitive skin is very very mild. It cleanses but I do not feel fresh after using it. I am missing my cetaphil oily skin cleanser and won’t be able to use up this whole bottle. This one is giving me breakouts also. I am sporting one on my cheek these days 🙂 . I am sure it will be a good choice for all of you having sensitive skin as it’s very mild. But, not apt for me. I love my Cetaphil for Oily Skin variant. Doesn’t dry, stretched feeling post washing. Its very gentle and great for skin with sensitive skin. People with dry skin will love this product as skin will not flake or get dry with this. It also removes traces of light makeup. It does not actually stop you from getting acne, nor will it control the oiliness of your skin… so no salicylic acid or benzyl peroxide to bust those zits. Actually, it is causing breakouts. No yummy fragrance, smells chemical-ish. Available either online or with chemist.